Although just about everyone has internet access at home, people still enjoy the freedom remaining connected while on the go. Even with WiFi hotspots around every corner, many still prefer to use 3G network for their own personal network. USB modems have been a popular solution, but they have limitations. Most require installation of drivers and leave a device sticking out of the side of your laptop. Although most new laptops offer configurations with broadband cards built in, those are even more limited since only that device will be able to utilize the network. Fortunately the MiFi 2200 came to the rescue earlier this year, introducing a personal 3G-powered WiFi hotspot. 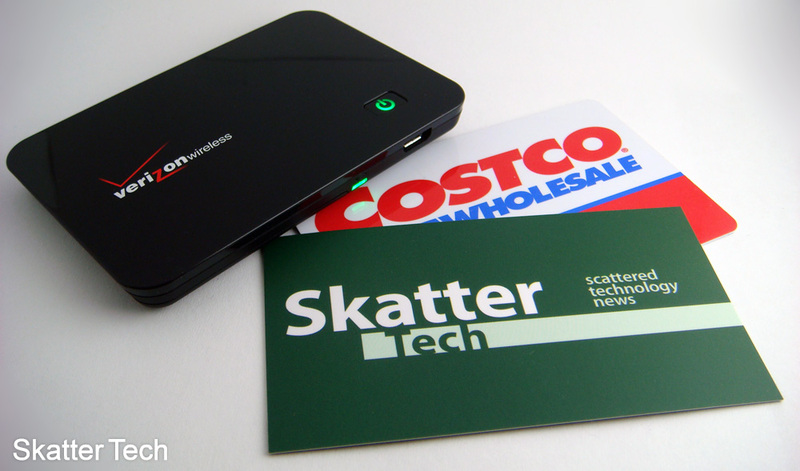 The MiFi 2220, developed by Novatel, is about the width and height of a business card. It’s 3.5 inches wide, 2.3 inches tall, and just 0.4 inches thick to be exact. While weighing just about 2 ounces, it packs both a CDMA and WiFi antennas inside. There’s a power button on the top that lights up green when it’s on. 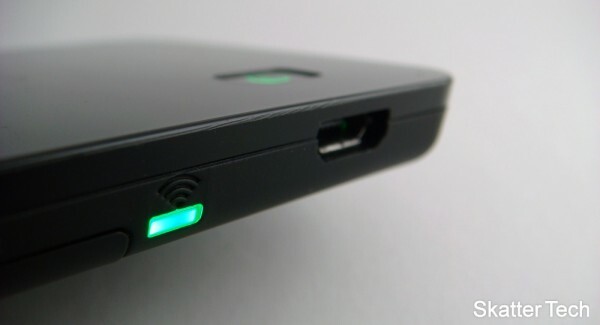 A microUSB connector, for charging the device, resides besides another green LED indicator that displays WiFi activity. On the bottom, there’s a sliding back door that reveals a battery pack. Other than that there’s not much else to say. It’s light weight and compact enough to take with you. For someone who doesn’t know much about technology, the idea of this device might be confusing. It’s essentially a 3G modem that has a WiFi router built in. So instead of having to connect it to your computer with a cable, it broadcasts a WiFi signal. Just find the access point on your computer, connect, and behold: the internet! Sounds easy right? Unfortunately not. Although our unit was pre-configured since it’s a sample review model, a normal user will have to go through some mess. Unlike phones where you just dial a number to quickly activate, MiFi owners will either need to do it over the internet or at a Verizon Wireless Store. To get it done over the web, you’ll have to download and install some drivers for your computer to recognize the device. Unfortunately that ends up defeating the major selling point of the device: not having to install crappy software. Anyways once you get it activated, there’s a lot this device offers. Just connect to the hotspot and key in the IP address to access the web interface of the device. Just like a standard home Linksys or D-Link router, it offers a panel to change settings. I was able to pick a new SSID, change the security to WPA2, and pick a new pass-phrase. I was quite impressed that such a small device was even capable of offering such options. The local web interface even displays 3G signal strength, data usage, and your IP address and plenty more. Plus since up to 5 of your devices can join in on your network, it even displays the number of connected users. Considering this first model has so many options and capabilities, I’m quite excited to see what’s in stock for a future version. The most important aspect is the data transfer speeds the device offers. To give this a shot I decided to use the SpeedTest.net application on my iPhone to test the speeds when connected to the MiFi over WiFi. Yes, I have Verizon on my iPhone, through WiFi. Speed test recorded throughout the San Francisco Bay Area consistently averaged at about 1200kbps down and 700kbps up. Every time I ran a test on the MiFi, I also tested AT&T’s 3G speed on the iPhone. The results disappointingly averaged at about half of what the MiFi offered: 650kbps down and 250kbps up. I also used the Verizon MiFi to access the internet through my Dell Mini 9 netbook. The speeds were speedy enough to browse most webpages, check emails, or instant message. Streaming rich media such as Hulu or YouTube just isn’t too practical. It works and sometimes well when signal is really strong, but requires waiting for a lot of buffering most of the time. Plus with data caps, I wouldn’t recommend using up precious bites. According to the specifications, Verizon claims four hours of use and 4o hours of standby with the 11mAh battery. After testing for short periods over a period of few weeks, I can agree that the claims are about right. Although the power saving feature, which turns itself off when there’s no activity, is sometimes annoying; it offers plenty of hours for the average user. Plus charging it is as simple as plugging it into either a computer with the included microUSB or a power outlet with the AC Adapter. The device takes about 2.5 hours to replenish and can even be in use while recharging. 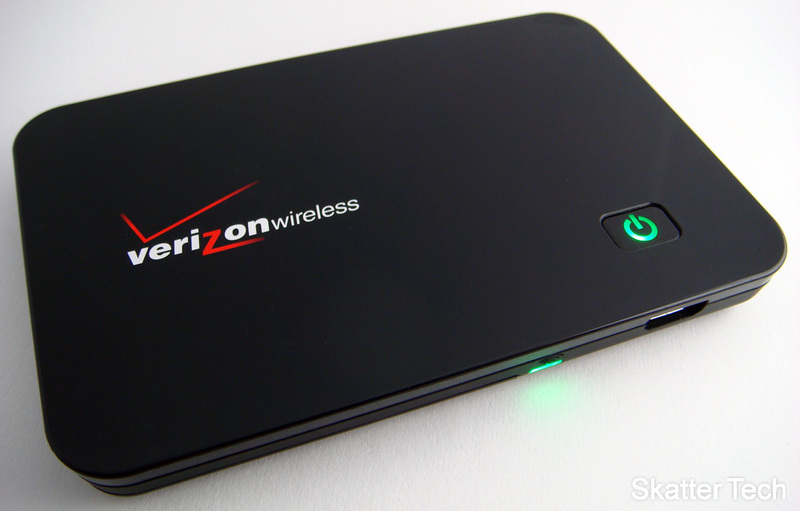 Overall the Verizon MiFi is a new and interesting technology that is simply great. Other than the weird setup process, it makes life on the go truly convenient. Transfer speeds are great. Battery life is probably enough for most users. The only issue comes in with data caps. The plans are just ridiculously overpriced. A 250MB usage plan costs $40/month and a 5GB plan is $60/month. That’s more than what most people pay for unlimited high speed internet at home. And while the hardware lets you easily share internet access with a friend traveling with you, the data caps makes you think again. Other than that issue, the rest is great and I highly recommend it. If you are interested, the device is available for purchase for $99 after a $50 mail-in-rebate with a new 2-year contract.